There are four seasons in a year, and they’re all awesome, but only one of them gets to be summer! 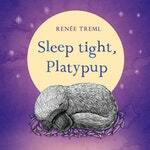 A cosy story for anyone who's still just a little bit afraid of the dark. 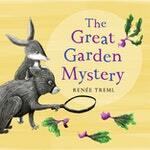 Featuring author-illustrator Renée Treml's comforting storytelling and delicate illustrations of Australian native animals. A warm and hilarious story about a cheeky little bear who's bursting with creativity. From this master picture-book creator comes a warm, funny and empowering story about overcoming fear, and the unique friendship between one little girl and her own secret, flippered companion. 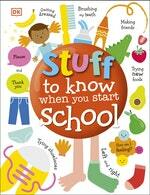 Books to help you feed your kids’ curiosity. Summer, the best season ever, now has an activity pack! A sweet, funny story about accepting yourself and finding a friend who loves you just the way you are. Mostly, though, it's about a fart. And fart jokes. Loooots of fart jokes. 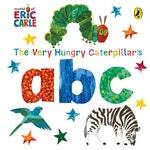 A gift board book edition of much-loved actor and radio host Kate Ritchie's debut picture book. When Mae has to move house from the country to the city, she feels lonely and sad - until she discovers a beautiful place full of green in the centre of Paris. What she finds there sparks something special and beautiful that will make her feel much more at home. From Australia's favourite picture-book creator, Alison Lester, comes this energetic story about a little dog who causes a big commotion. Now in a gorgeous board book edition. From sunrise to night-time, celebrate the wonders of nature with this rhythmic and radiant bedtime story by Sally Morgan and Ambelin Kwaymullina. In this lyrical celebration of place, the children of Mornington Island explore their home in words and pictures. 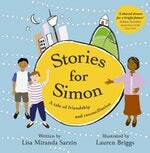 This is a collaboration with much-loved children's picture-book creators authors Alison Lester and Elizabeth Honey. Harvey owned a heap of stuff, but could always use more. The ORANGE 430 was the latest and the greatest. Harvey wasn't sure what it did, but he had to have it! I'm scared of the dark . . . But Grandpa says we can still have FUN so he’s taking me camping. Maybe I’ll be able to have space Adventures like him one day . . .
A poignantly beautiful story from the CBCA Shortlisted author of Suri’s Wall, Lucy Estela, and Prime Minister’s Literary Award shortlisted illustrator of Adelaide’s Secret World, Elise Hurst. A heartwarming story about the unique bond between a granddaughter and her grandma, celebrating family and precious shared memories. Celebrate the 2017 Women’s March with this charming and empowering picture book about a pink hat and the budding feminist who finds it. A visually gorgeous, funny adventure from the acclaimed creator of Animalia. A new picture about imagination and creativity from the award-winning author of Lots and A River. Aaron Blabey combines beautifully rendered illustrations with brilliantly chosen text to bring a huge amount of heart to this special story as well as finding the laugh-out-loud humour in everyday situations. The pet you want isn’t always the pet you get. A clever, quirky tale of individuality and perspective, and recognising what is right in front of our eyes.